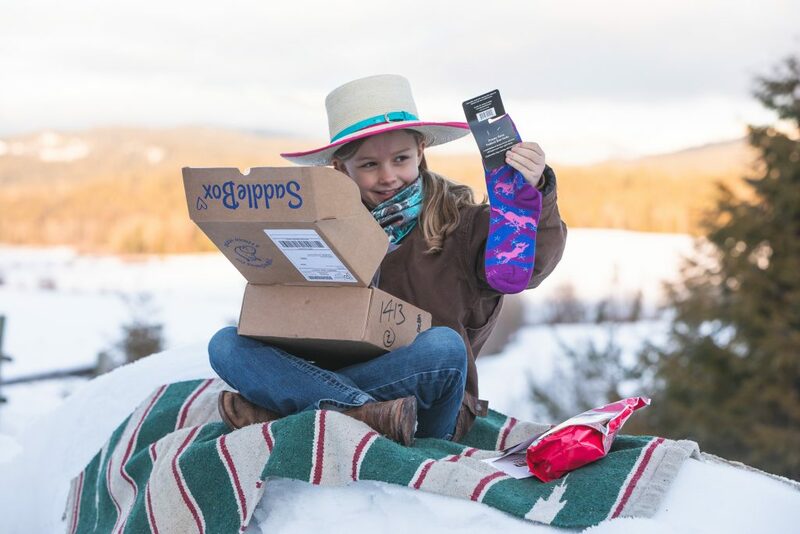 You know those super fun delivery “clubs” you can sign up for online that sends you monthly packets, bags or boxes of makeup, clothes or wine? 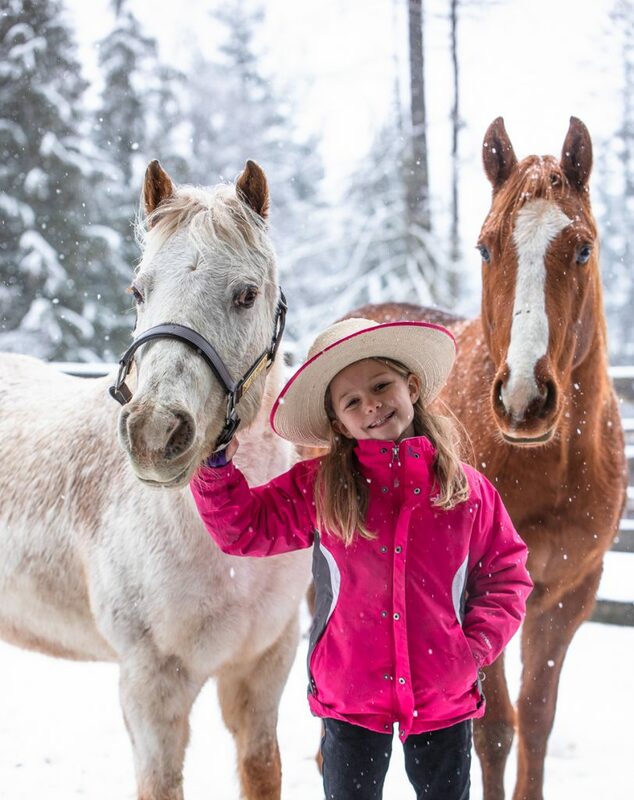 Did you know there was one of these services for us horse people? Yep, and it is called SaddleBox. 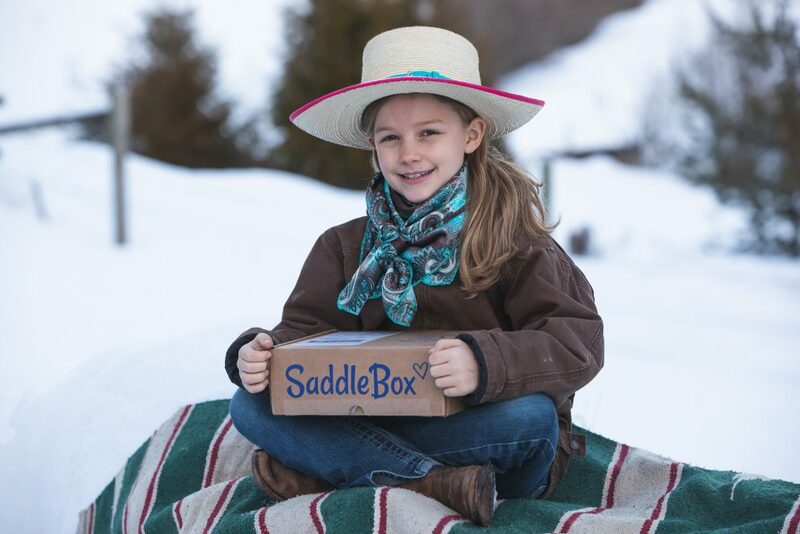 SaddleBox is a monthly gift box for your horse or, as they put it, “a box of happiness for your horse”. 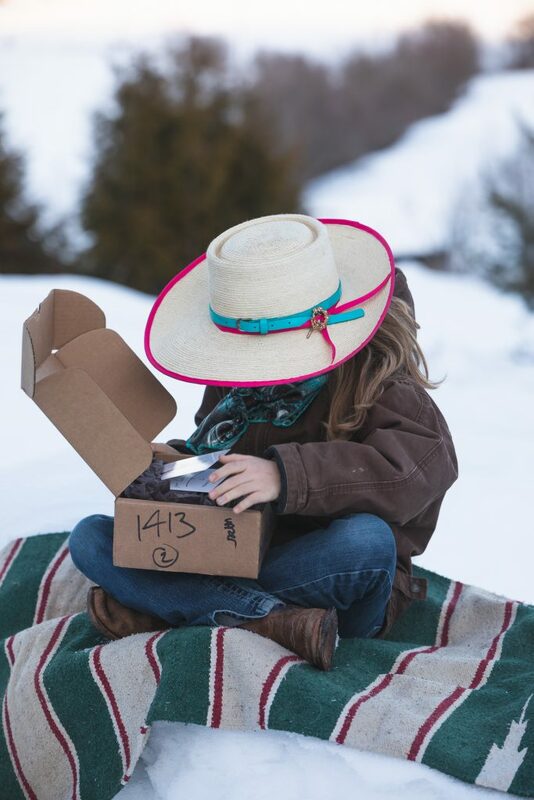 I recently received one of these boxes of happiness in my mailbox and my little horse girl was pretty excited to dig into all the treasures inside. 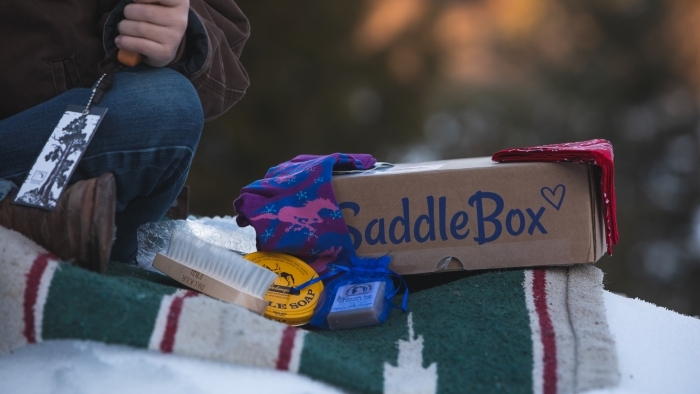 Included in our SaddleBox was a bag of horse treats, a metal curry, a wooden handle hoof pick, a bandanna, saddle soap, horsey themed hand soap, a small soft face brush and a pair of super cute horse themed socks. 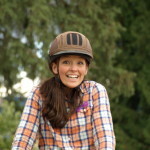 Emily gives the SaddleBox her seal of horse-crazy-girl approval! We had a great time going through all the goodies included in our HorseBox. 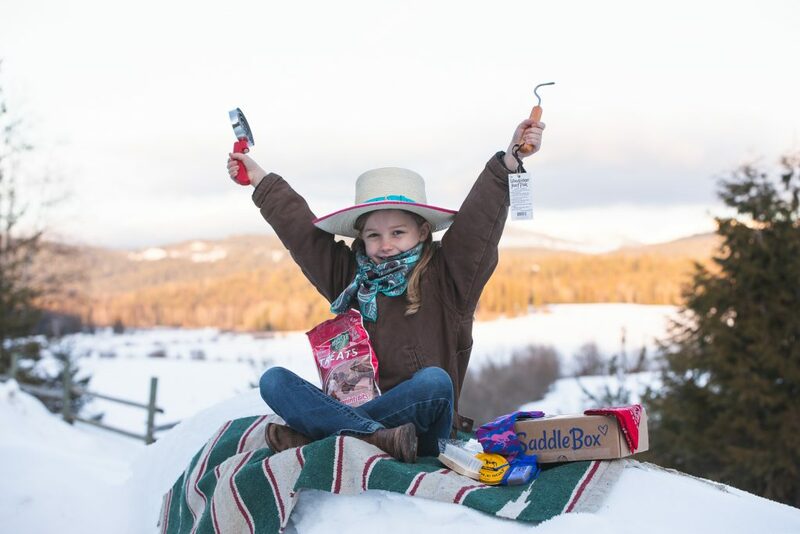 Emily is excited to share the goodies we received with the horses she loves!